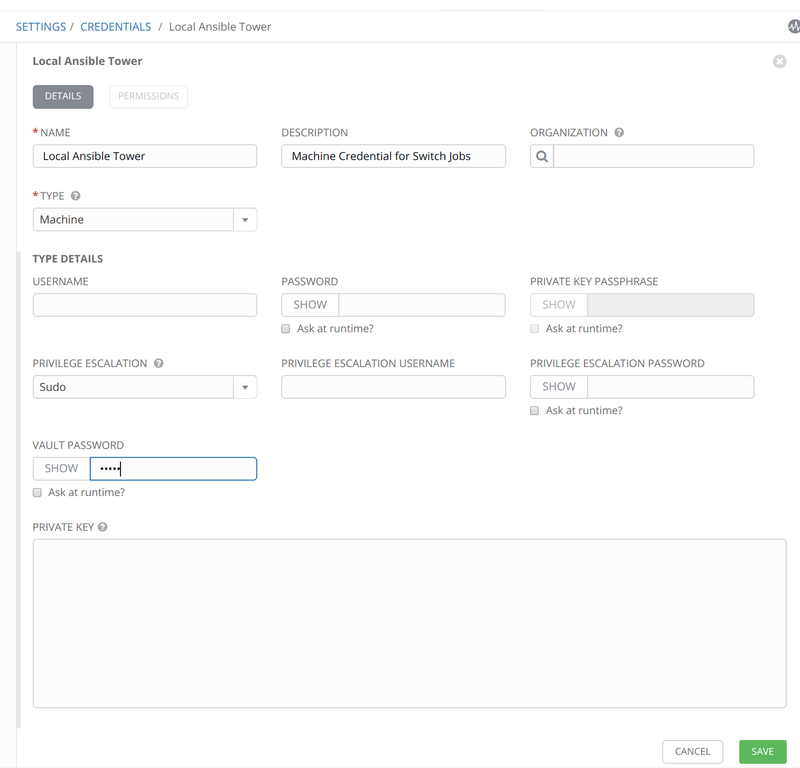 This is a simple example of how to setup Ansible Tower to automate a Cisco IOS Router. This post is written from a network engineer's perspective. 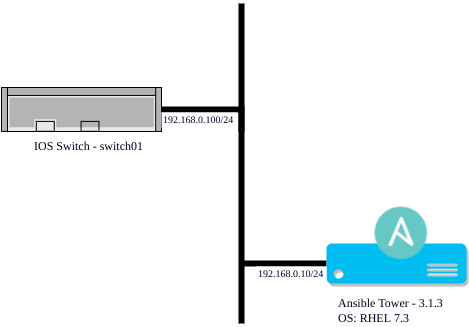 The example setup was done in GNS3 using the Cisco ViRL IOS image and a RHEL 7.3 VM with a valid subscription(license). Details of how this was done will be discussed in a future blog post. Follow the Ansible Tower installation steps. This demo uses the default account of admin. A test playbook called test-network-automation can be found on Github. It contains one playbook called test.yml, that runs show version on the IOS router. username ansible privilege 15 password 0 1q2w3e4r5t! 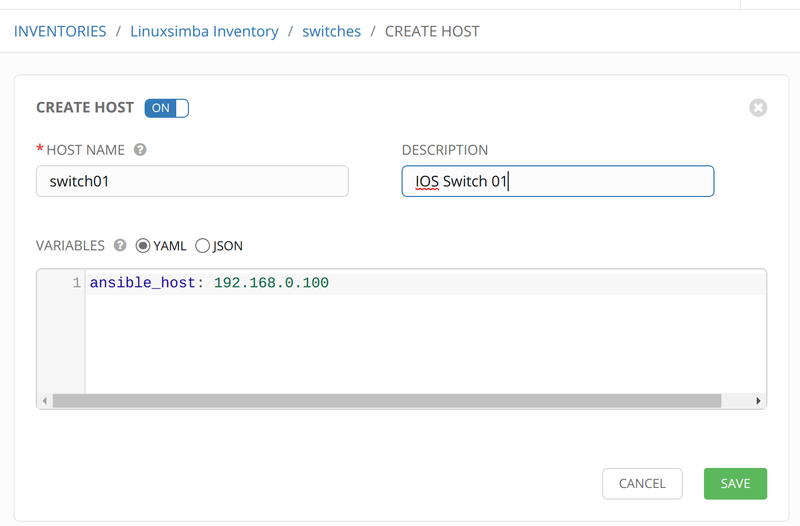 Because the connection made to the IOS device is made via a proxy connection on the Ansible tower server, all one has to do is create an empty machine credential. That is, just give the credential a name. 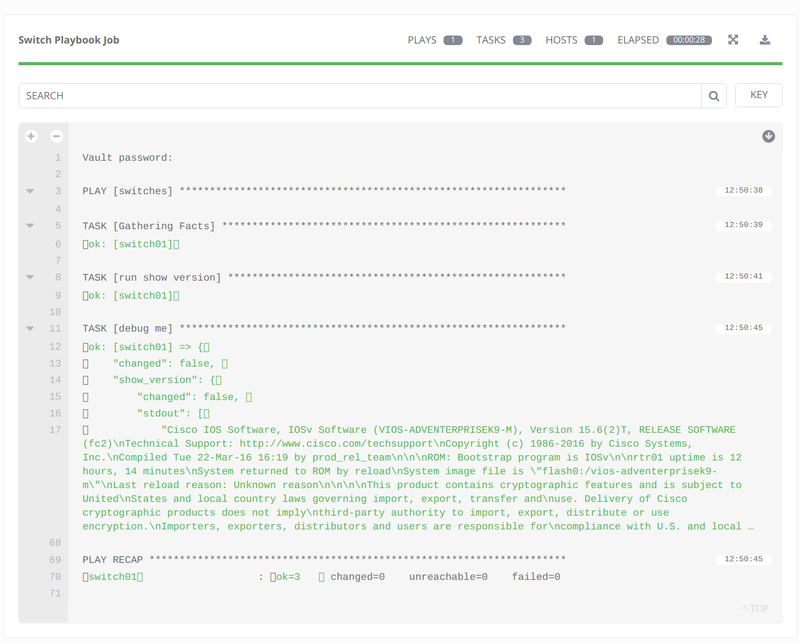 For this example, because Ansible Vault is used , the Vault password is filled out. The Vault Password is tower. It is good practise to encrypt your network authentication. Tower does provide a feature called Network Credentials but it will not be covered on this post. The method of encrypting network authentication information within the playbook was preferred. 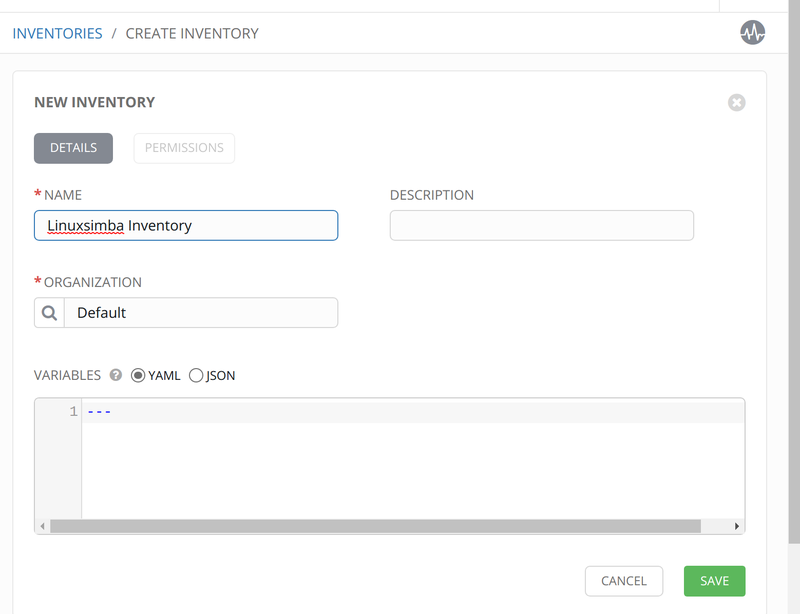 An inventory is a database of hosts and grouping of hosts that are referenced in the playbook. In the test playbook, the host group called switches is referenced. Tower will host this database so that the playbook just references it. 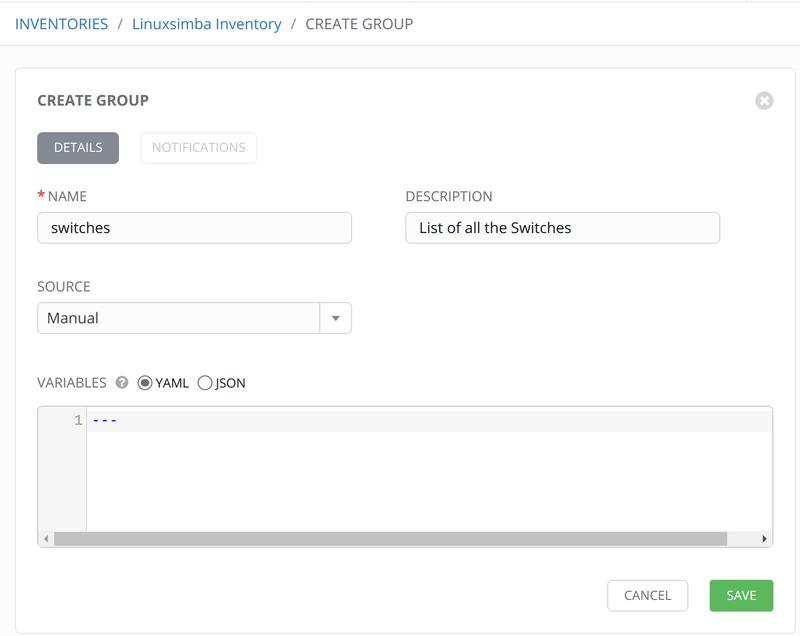 This step creates the switches host group. 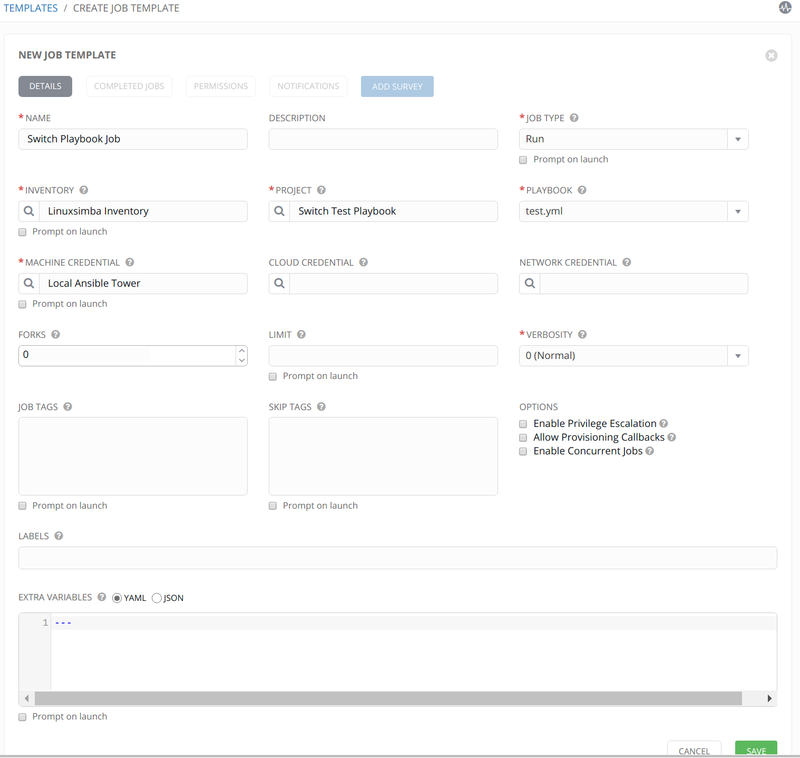 Hosts added with this group will execute the show version action in the tasks list of the text playbook. Only 1 network device is listed in this demo. It is called switch01 and its IP is 192.168.0.100. Note that the IP is defined in the variable ansible_host. Create a object called a Job template. This brings together all the information entered before. 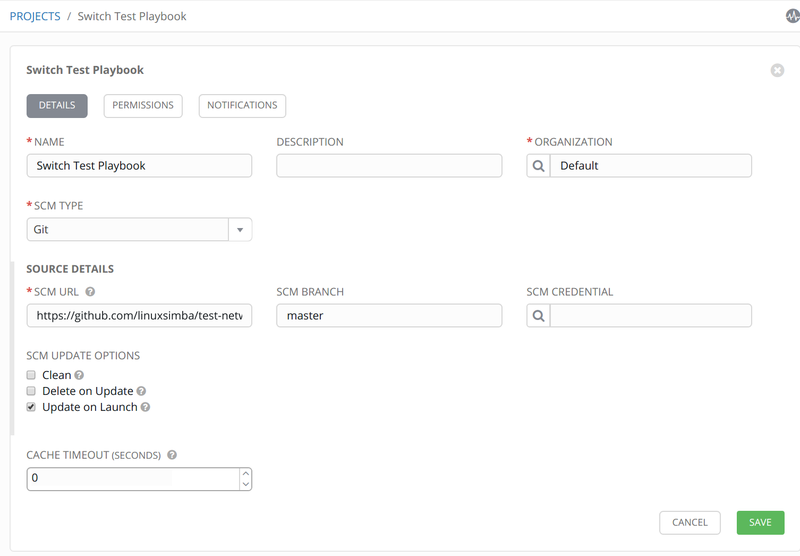 For a network automation job, one creates a job template with an empty machine credential, a reference to a playbook. This playbook uses the local connection type, connection: local. Network authentication is set within the playbook and not in Tower using what Ansible Core (CLI) calls a network provider. In this case the provider is a variable hash called cli. Finally run the job template. This creates what Tower calls a Job. Below are the results of executing the job. In Kubernetes, each pod is assigned a unique IP. This article compares how 3 Kubernetes network plugins interact in a Cumulus Linux Router to a Host L3 CLOS. The procedures shown should work with Windows 2012 and Windows 2016.